Jamie says: Whew! Last month was jam-packed! What made it so busy? I moved both my apartment and office in less than 2 weeks. It was such a blessing to have my family help with my apartment move. They’re the best. Seriously. I love my new places and am feeling settled in. 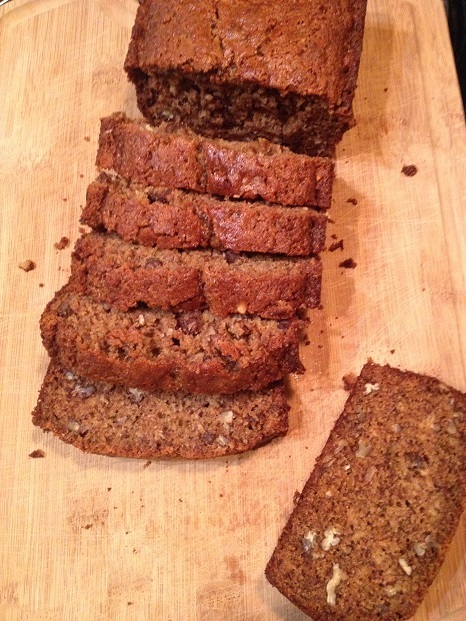 My Whole Wheat Banana Flax Bread was amazing! It had a sugar-sweet crunchy crust and a super moist middle. 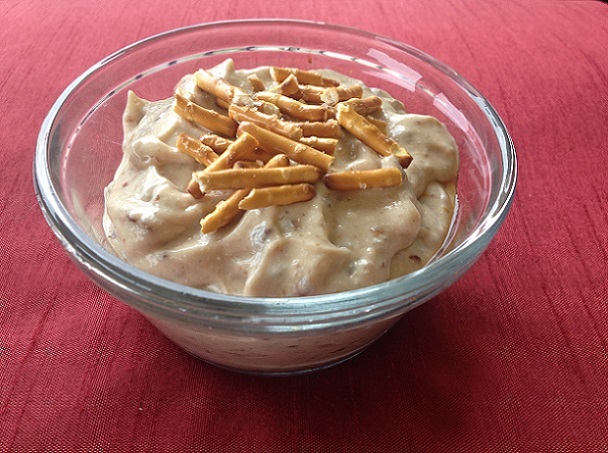 The pecans added a pleasant crunch. Mmmmmm…. Ready for a slice? Try it with a glass of milk for breakfast, a snack, or dessert. 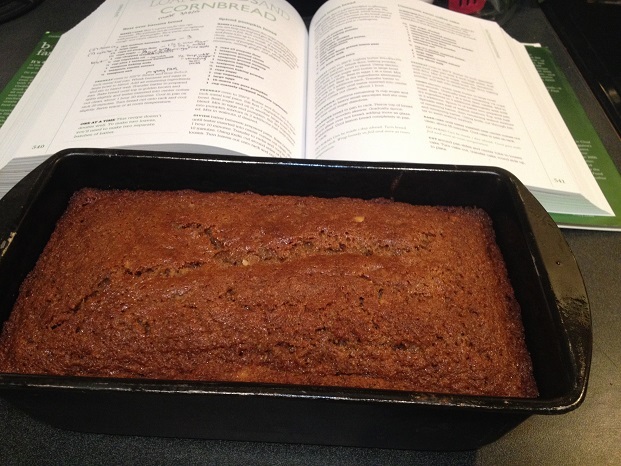 Mission accomplished- My best banana bread ever! Preheat oven 325°F. 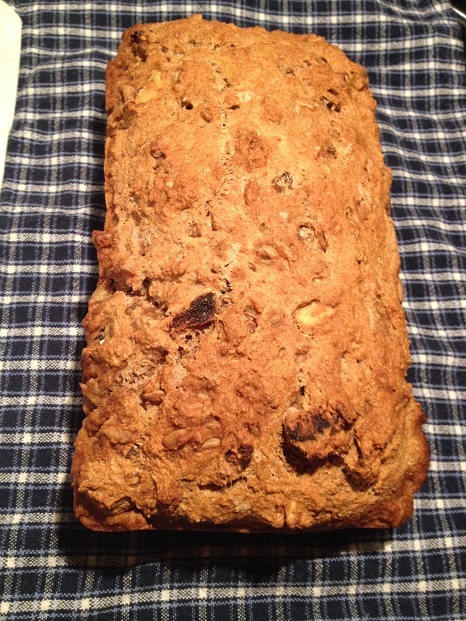 Coat a 9″ x 5″ metal loaf pan with spray canola oil. Whisk eggs in a large bowl. Peel bananas and place in bowl with egg. Mash bananas into eggs. Pour white vinegar and skim milk into a small bowl. Allow to sit while preparing next ingredients. To the bowl with bananas, add whole wheat flour, milled flax seeds, honey, brown sugar, canola oil, baking soda, vanilla extract, and salt. Use a spatula to combine. Stir in chopped pecans. Bake for 1 hour. Allow to sit in pan for about 15 minutes. Slice. Enjoy! 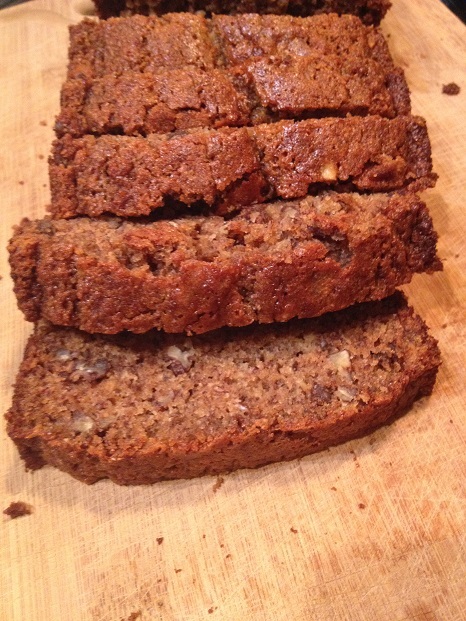 Nutrition note: Use baking substitutes to make recipes for nutritious. The original version called for all purpose flour (which was substituted with whole wheat flour and milled flax seeds) and 50% more sugar. Jamie says: Mom is always right. My Mom recommended blending cottage cheese and prunes. Honestly, at first I thought the idea sounded a little wierd, but sure enough, she was right, and it was great! I went a step further and added coffee, which I’m adding to everything lately, and pretzels. I liked it so much I made it a few days in a row! I’m a fan of the contrasting combinations- sweet and salty; smooth and crunchy, chilled and room-temp. Yum! 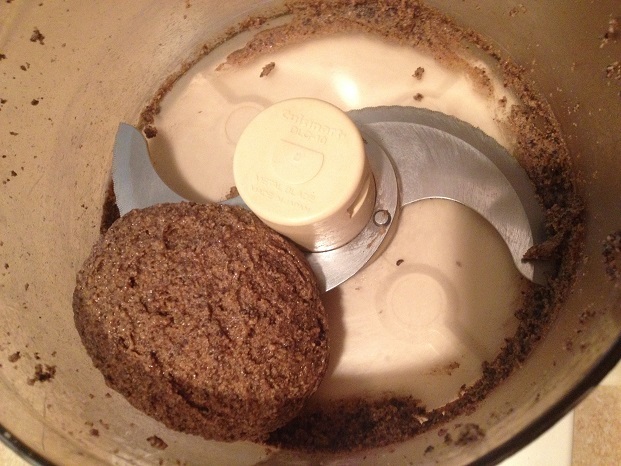 In a mini blender, add cottage cheese, prunes, and coffee. Pulse until well-blended, using a spatula to scrape down the sides as needed. 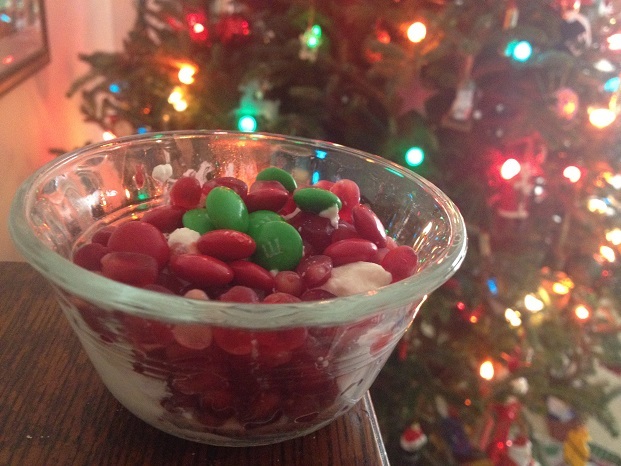 Scoop into a bowl. 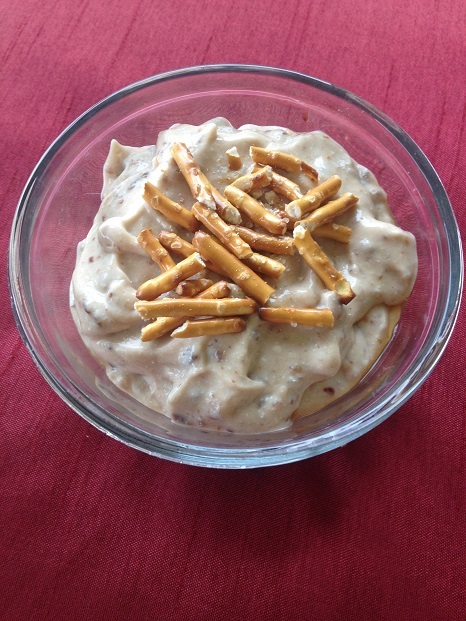 Break pretzels into bite- sized pieces and pour on top. Enjoy! Nutrition note: Prunes, calcium, and vitamin D (the latter two are from the cottage cheese) have been associated with strong bones. Yes, you read that right. Prunes may improve bone health. Cool stuff! Jamie says: I feel like this is a recipe most men will love. It’s so simple and uses beer. Can’t go wrong, right? 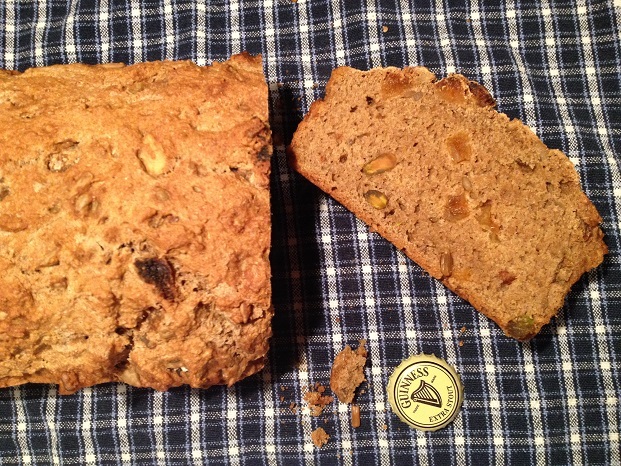 I had beer bread for the first time this Christmas at my Uncle and Aunt’s house. It was so awesome. I asked for the recipe immediately. 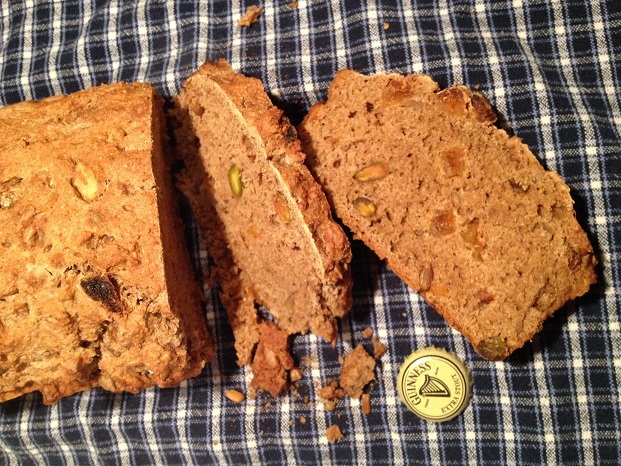 Beer bread is dense, moist, and flavorful. Oh, and it’s filling, too. Preheat oven to 375°F. Grease a bread pan with cooking spray. Add all dry ingredients in a large bowl. Whisk together to mix well. Pour beer on top. Use a spatula to stir until combined. Transfer dough to bread pan. Use hands to evenly distribute dough in pan. Bake 1 hour. Remove from bread pan immediately. Slice. Enjoy! 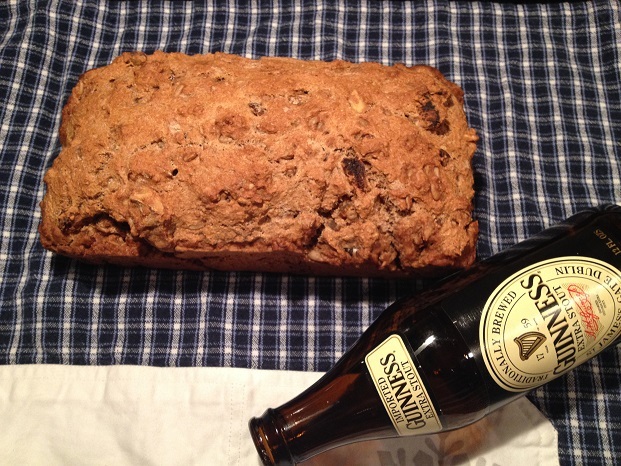 Nutrition note: Although beer bread sounds like bar food. It’s far from it. With 100% whole grain-content, heart-healthy nuts and seeds, and dried fruit, it’s practically a super food. The colors are naturally vibrant; the taste, sweet; and the texture, smooth. Parfaits make me think of TCBY and the movie Shrek (onions have layers and so do parfaits). Dig in. It’s ready in a minute. 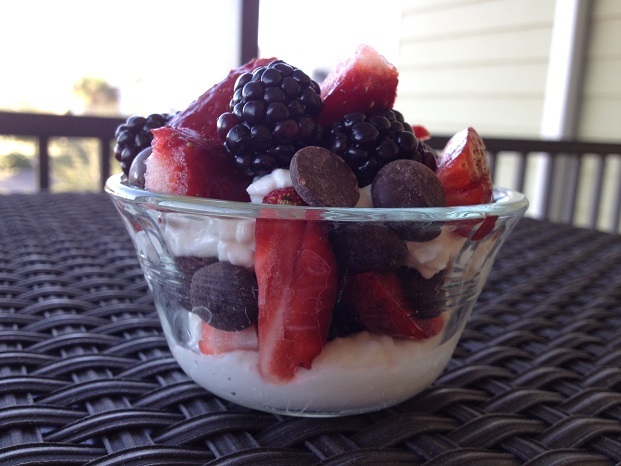 Place 2 oz (1/2 of portioned cup) of cottage cheese in a bowl. 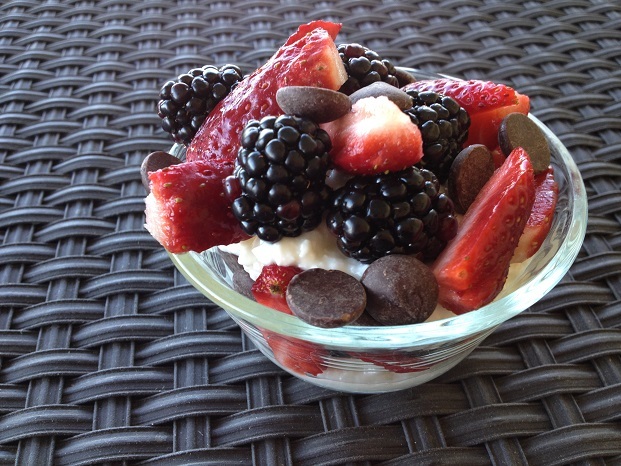 Top with half the strawberry slices, blackberries, and chocolate chips. 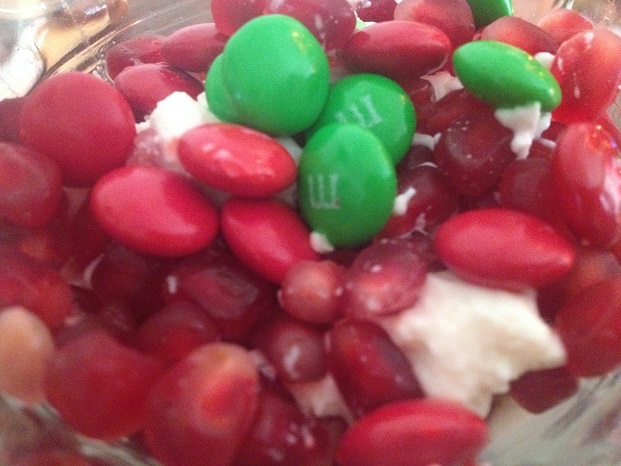 Scoop the remaining cottage cheese on top. 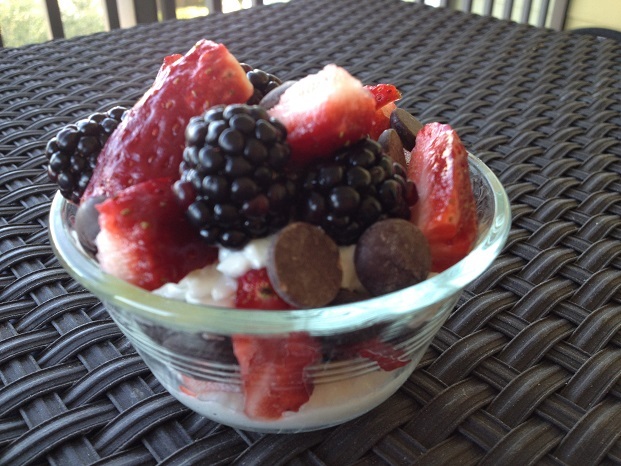 Add the remaining berries and chocolate chips. Enjoy! 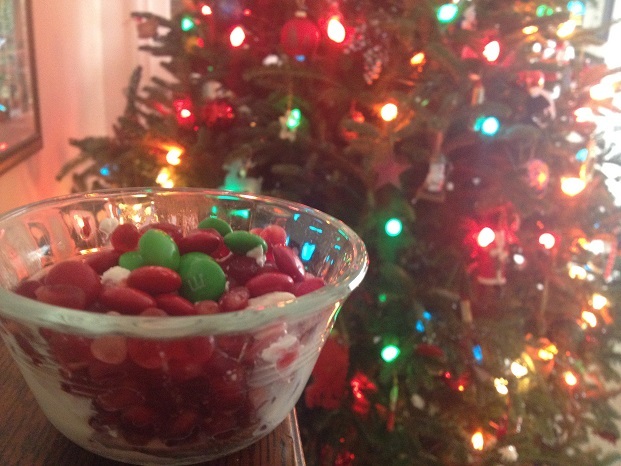 Nutrition note: Blur the lines a little sometimes between a dessert and a snack to prevent over-indulging. 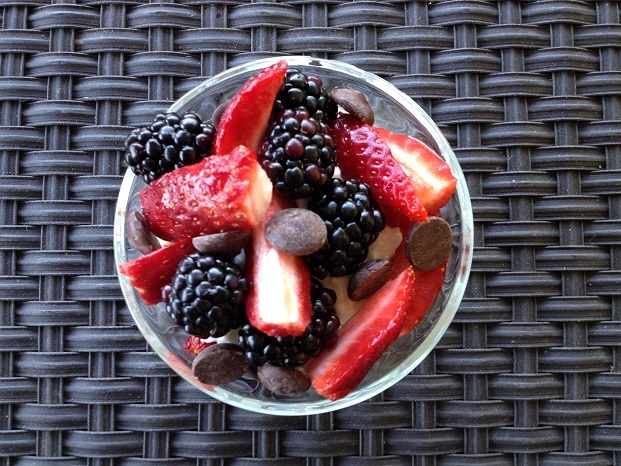 Use a few dark chocolate chocolate chips to make a healthy snack turn into a dessert. Jamie says: I did it. 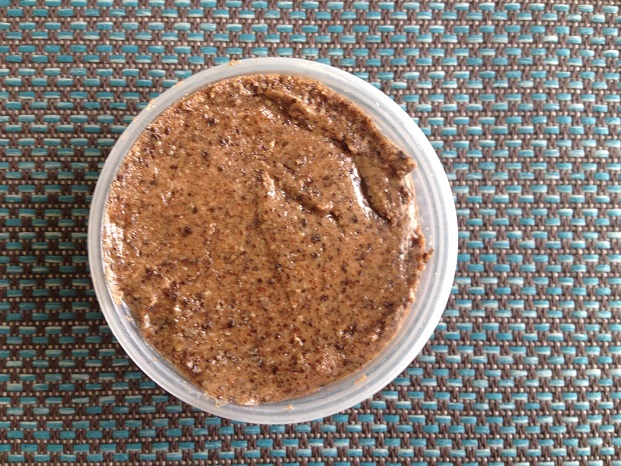 I made my own nut (almond) butter. And it was super easy and honestly quite fascinating to do (perfect for kids to watch). I had a fun afternoon with my new dietitian co-worker friends. 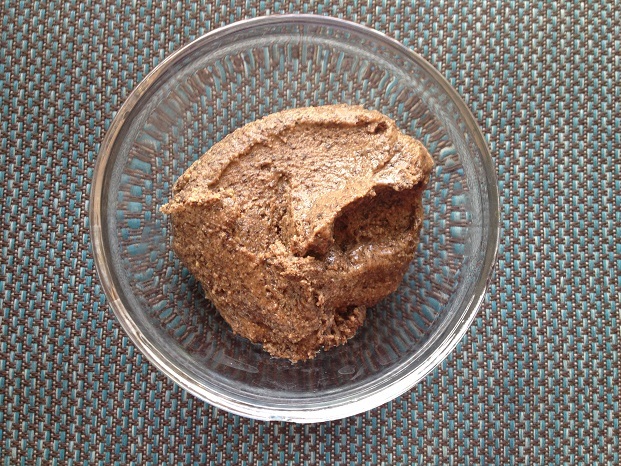 It began with a walk, followed by lunch, and soon led to an impromptu DIY nut butter adventure. 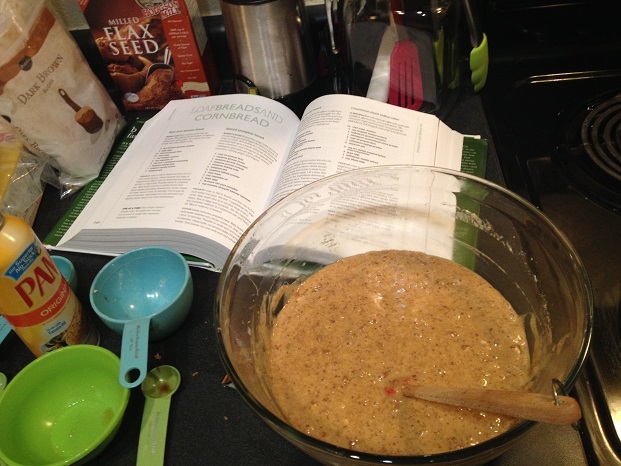 Earlier, I had found a recipe for inspiration in the Publix FamilyStyle magazine which led to the creation of Mocha Almond Butter. It was really quite simple. And within a couple of minutes, we had a ball of almond butter. I added coffee for a kick. 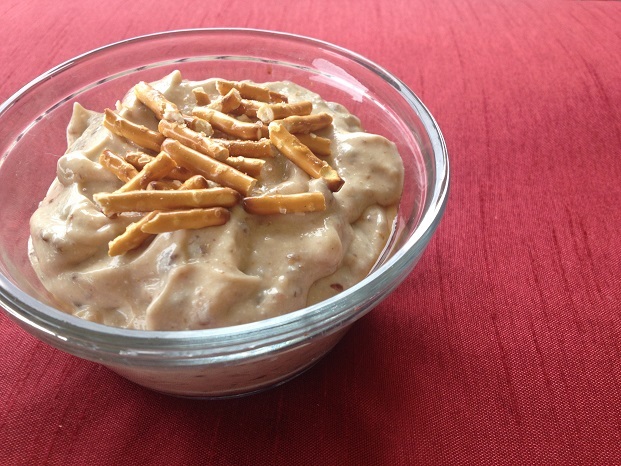 It spread nicely, just like peanut butter except this one is made of cocoa-dusted almonds with a burst of coffee. I put a heaping tablespoon in one of those little containers you’d use for a side of salad dressing and packed it for lunch. It’s perfect for an apple or to make a Mocha Almond Butter and [banana, strawberry, (insert your favorite fruit here), blueberry, raspberry, and/or blackberry] whole wheat sandwich. Mocha Almond Butter to go. Apple ready! Add coffee packet. 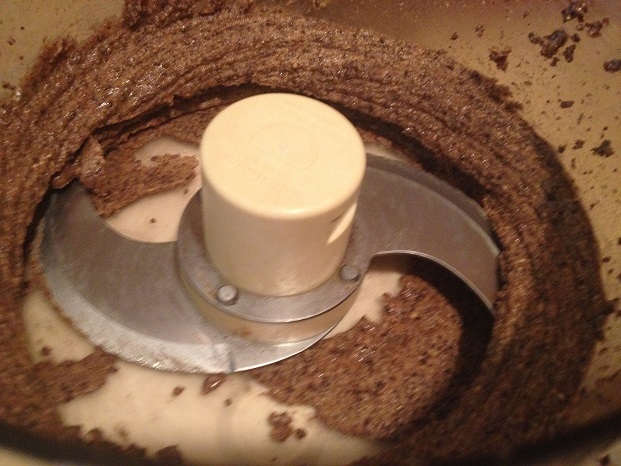 Continue to blend until the ball finally forms a layer on the side of the food processor. 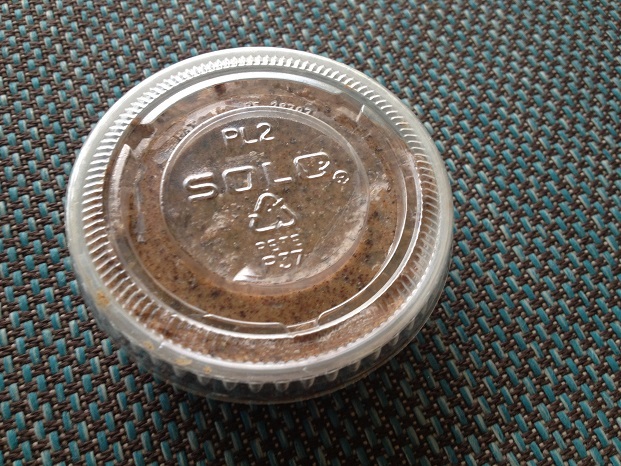 Scrape down nut butter and store in an airtight container. Enjoy! Serving suggestion: Pack in a little reclosable container to spread on an apple. Nutrition note: Almonds are an excellent source of vitamin E. Peanuts have more protein. Both are great. 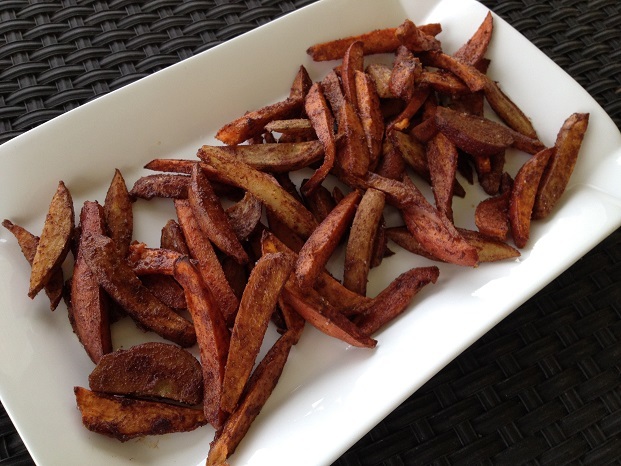 They’re sweet and salty and a little spicy/zesty from the blend of cinnamon, ginger, nutmeg, and cloves. Yum! 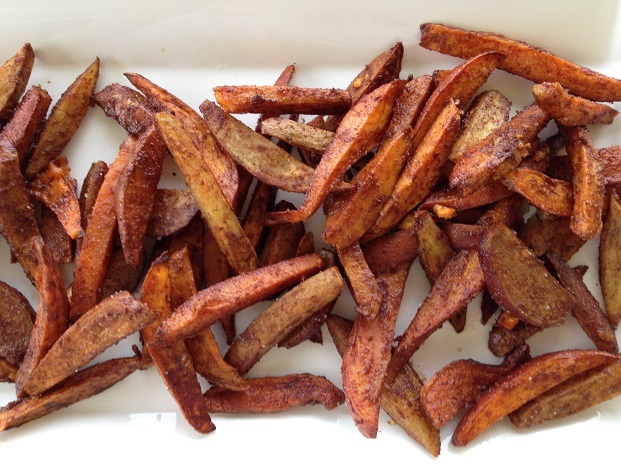 Cut sweet potatoes into strip and place in a large glass baking dish (Pyrex). 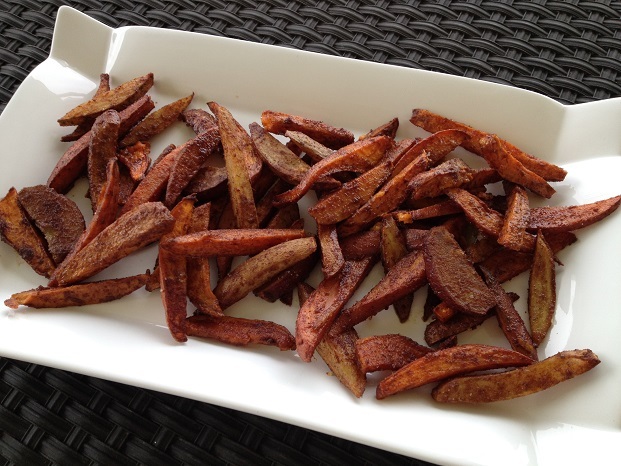 Drizzle with canola oil and sprinkle with cinnamon, ginger, cloves, nutmeg, salt, and sugar. Bake for 35 minutes until soft. Top with a dash of salt and sugar. Serve hot. Enjoy! Nutrition note: Sweet potatoes are an excellent source of vitamin A, which is great for night vision (tell the kids they will have superhero see-in-the-dark powers). Leave the skin on for extra fiber for fullness.